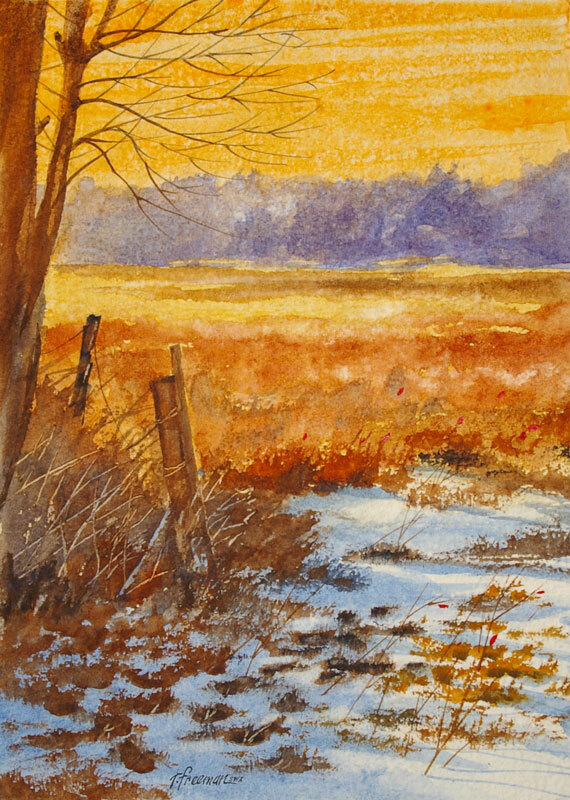 Thomas Freeman Original Watercolor Painting: "It Snowed Last Night"
An “edge of the farm” scene. It was painted on a 300# Rough, hand-made, sheet of paper. I enjoyed the way the roughness grabbed the brush and made a textured effect. Now the farm is gone.